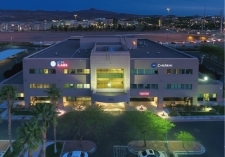 When it comes to Nevada commercial real estate listings, one of the state's cities clearly stands out. Las Vegas is home to more than two-thirds of Nevada residents. 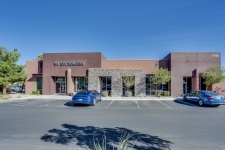 Additionally, two of the fastest growing cities in the whole country are in Nevada, namely, Henderson and North Las Vegas. 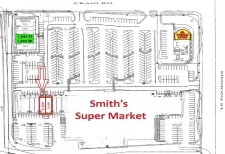 Both these areas contain a variety of commercial realty opportunities and investment property. 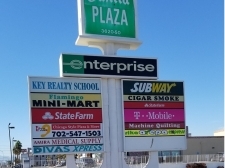 Much of Nevada's economy is based on tourism. In addition to Las Vegas, Reno and Lake Tahoe also bring in vacationers from around the world. 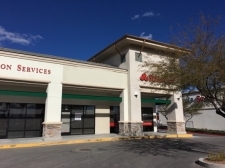 With a population estimated at 220,500, Reno is also a large population centers that offers various Nevada commercial real estate listings. It is interesting to note that the government owns about 80% of the land in the state. However, there is a great deal of rural commercial land, which farmers grow crops on including onion, potatoes and alfalfa. The major economic activities in Nevada include mining and cattle ranching. 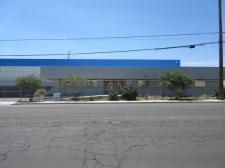 Industrial space in Nevada is used for food processing, printing, and manufacturing electric equipment and machinery. 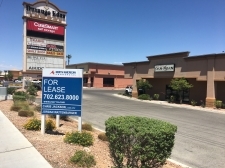 Neighborhood retail center.All units have easy ingress and egress.Pawn Star Famous! Busy Center w great space! Multi use building in Reno, NV. 1399 Sq. Ft. LEASE space. 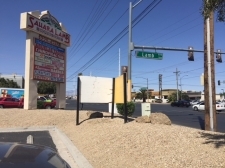 Sahara Lamb Shopping Center. Las Vegas.